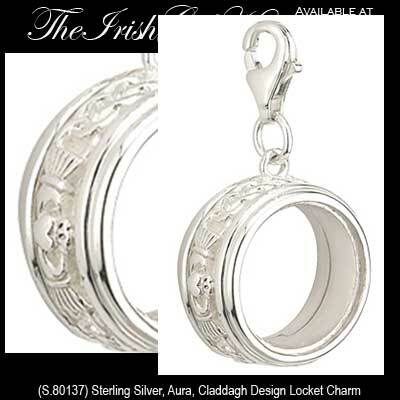 The engraved Claddagh and Celtic Knot design is continuous around the rim of the charm. 5/8" Diameter, Lobster Claw Catch, Gift Boxed. Beads are sold Separately.